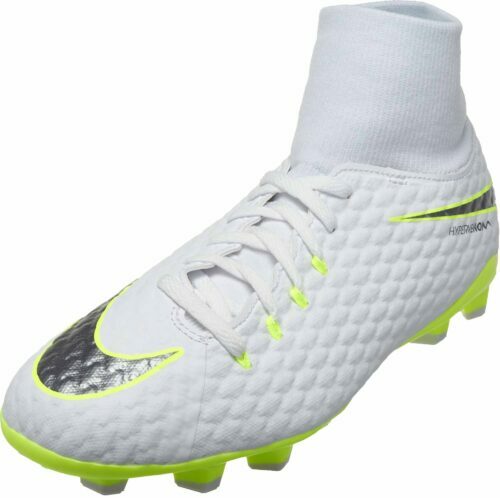 The Nike Hypervenom soccer cleats are built to improve soccer agility and allow for ball control and accuracy. The Hypervenom Phantom is an elite level cleat with Flyknit material for an easy and quick break-in period. 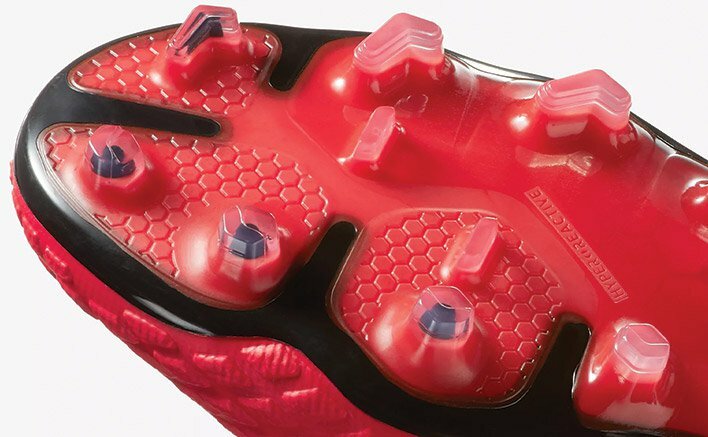 The shape of the Hypervenom cleat removes unnecessary material and gets the player’s foot closer to the ball. The outsole features a responsive plate for strength but it is still very light. 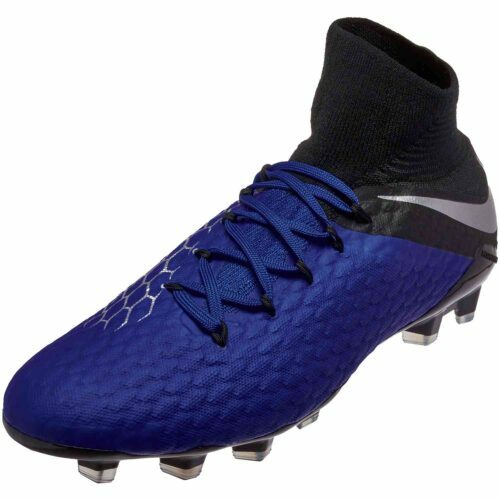 And, the agility traction pattern on the Nike Hypervenom is designed to support lateral and medial cuts — your agility and creative play is center stage with the Nike Hypervenom soccer footwear collection. 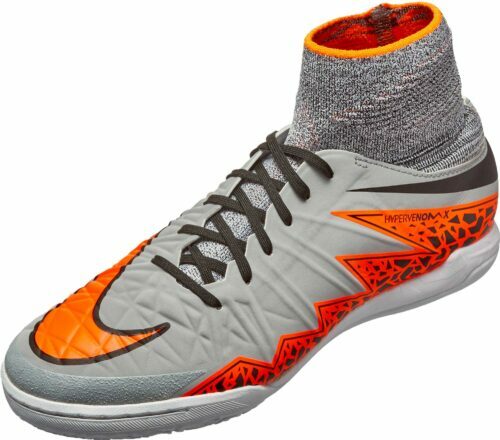 Find the Nike Hypervenom Phantom at SoccerPro.com. 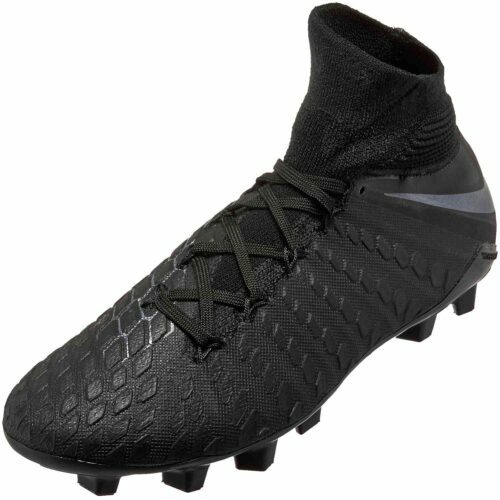 The Nike Hypervenom Phantom is engineered to fill those primal attacking needs i.e. finding the ball, finishing the play! With the DF and non-collar versions of the Phantom, there is a shoe for everyone. 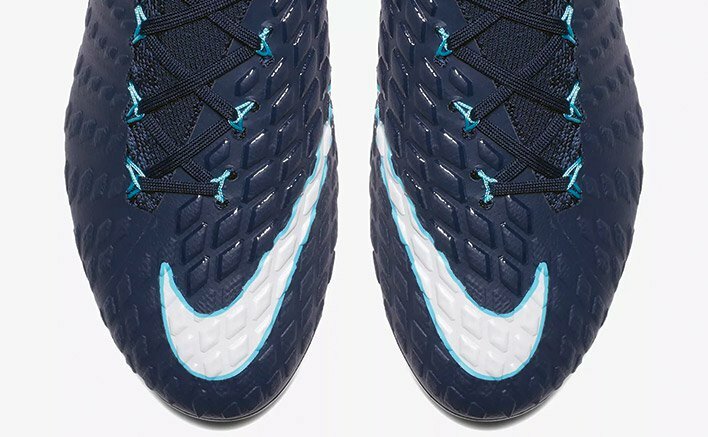 The Hypervenom is Nike’s “Agility” boot. It focuses on agility, traction and power. 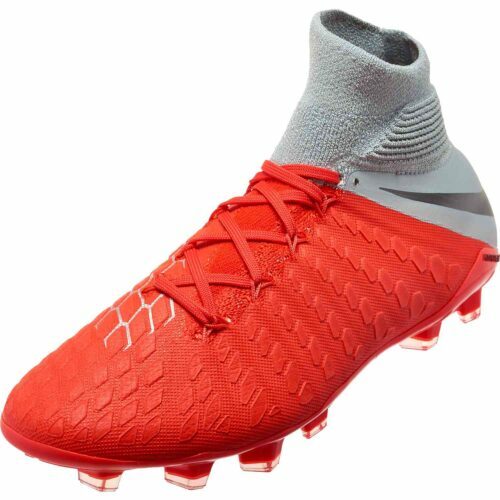 It has famously been known as the ultimate striker’s boot because of the superb roster of strikers around the world who wear these boots. 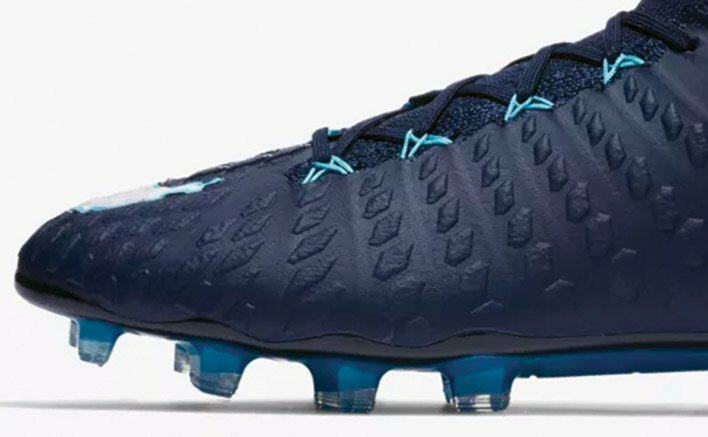 Players like Harry Kane, Edinson Cavani, Gonzalo Higuain, Robert Lewandowski, Kylian Mbappe and many more all wear these shoes. It’s an impressive roster and there’s no doubt that is the case because these boots are spectacular! 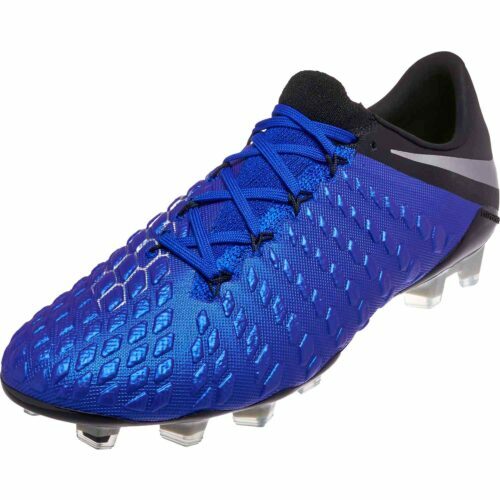 This boot is truly amazing great touch and feel,so comfortable and really cool design so i have to say by far the best cleats I’ve worn. Q: What’s the difference in weight between the Nike Hypervenom Phantom 2 & 3? A: The Hypervenom 3 comes in at 6.91oz, while its predecessor weighed 7.65 oz. Delivering a difference of approx. 0.74oz or 18.14g or the equivalent of eighteen US dollar bills. So not an huge difference going by the numbers but very impressive considering the additional materials in the upper. 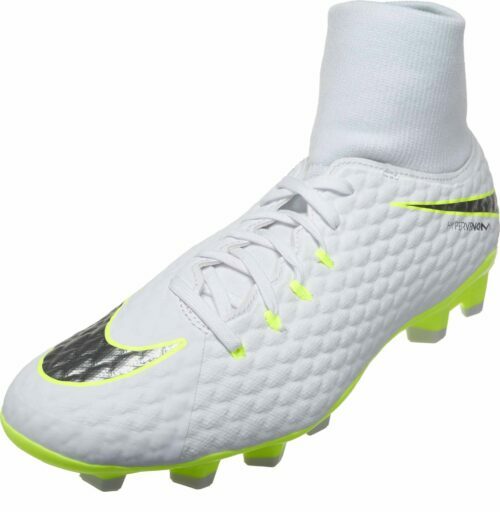 Q: What’s the fit like for the Hypervenom Phantom 3’s? A: Amazing. Nike created a customizable lacing system and incorporated more Flywire all within the flexible and sturdy Flyknit we’ve come to know and love. 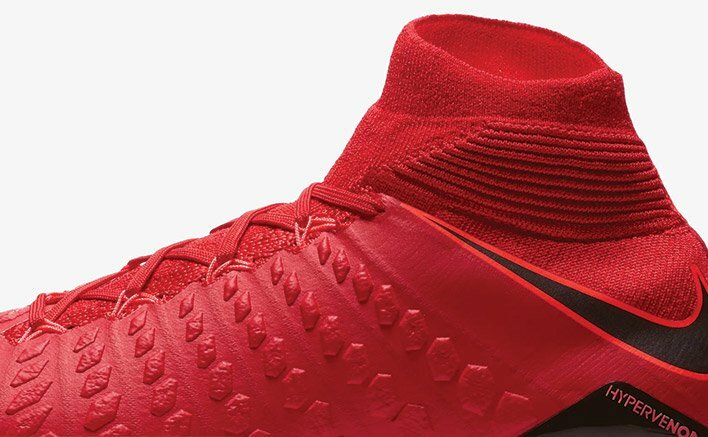 If you thought the Nike Skin upper of the previous HV amplified touch, just wait until you check out the 100% Flyknit construction Nike bonded to the new rate-dependent strike zone. Nike pulled out all the stops in part by designing the Flyknit down to the pixel to make this a true finisher?s boot. The new strike zone incorporates 2mm thick, multi-layered, rate-dependent Poron® pods. Being rate dependent means that the scaly pods remain stiff when you hit the ball at high velocities while managing to provide a dampening effect when hitting the ball at low velocities. ?Best of both worlds,? you say? Brilliant. 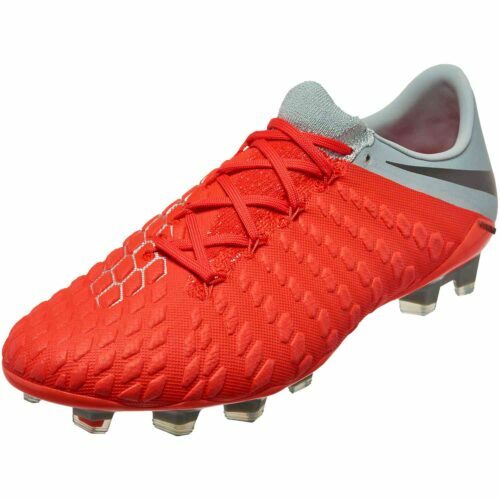 Did you notice that the scaly upper texture is a nod to the upper on the original Hypervenom boot launched in 2013? It?s back! And this time around, less is more. The DF collar we?ve come to know and love has been revamped to naturally mirror the ankle?s bone structure. It?s been dubbed the “Agility cuff,” and it exists to enhance lateral stability. It turns out that prominent bones in your ankle are offset by up to 10mm which is what the HVIII is mirroring. Also, making a lateral cut tends to subject ankles to extreme angles. The agility cuff is here to help imbue wearers with the confidence to make those extreme cuts. Cut-Strike-Score and repeat with confidence (in that order). Made to provide more stability when performing aggressive cuts, the Hyper-Reactive sole plate was under development for more than 6 years. Similar to the HVII, the HVIII sole plate is made of flexible Pebax® (in the forefoot) and sturdy Nylon. Strong yet flexible, just how we like our sole plates. Nike built upon the “split-toe” plate of the HVII through utilizing FEA. Their data informed the creation of a new “traction pattern,” which is built for – lateral cuts at sharp angles. 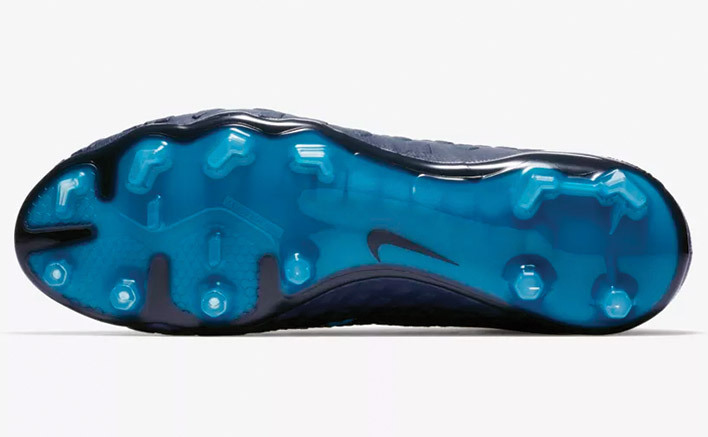 The Designer of the shoe, Dylan Van Atta said they “Leveraged hexagon studs for rotation and push-off so players could cut confidently, while incorporating sidewall chevrons for lateral and medial traction.” The optimal stud configuration also enhances responsiveness. This boot is truly a impressive. You said, ?customizable tightness,? and Nike listened. They?ve added an additional 2 meters of Flywire (3 vs. 1 meter in previous HVII) and a new loop lacing system. The lateral lacing system is made of floating channels that can be adjusted to your preference. Translation: players can fine-tune the fit at each loop for a more precise lock down feel with the added bonus of more support during lateral cuts. The two additional meters of Flywire helps provide lightweight lateral stability . The Flyknit means that being locked down is also comfy. Debuted on June 2, 2013 in the Brazil vs. England match on the feet of Neymar and Wayne Rooney. The game ended 2-2 with Rooney putting up the better stats with one goal and one assist. 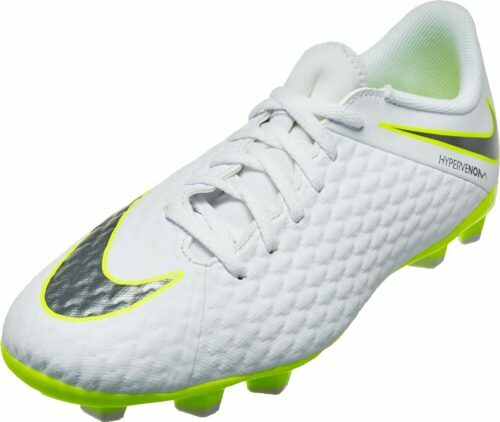 The original Hypervenom Phantom upper was created using a (new at the time) NIKESKIN system. This system featured a supple mesh with a thin (PU) film and was finished off with Nike’s (ACC) technology. 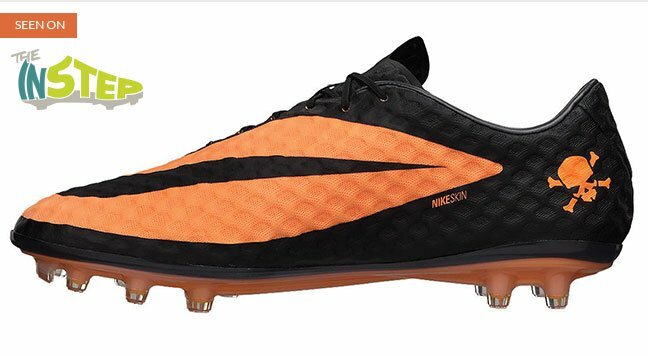 At the time, the Nike Hypervenom Phantom’s last was new and the most anatomical last they’d produced. Oh and the chassis? Glad you asked. The outsole’s chassis featured a compressed nylon which was said to make it stronger and lighter. Speaking of stud configuration… the length of the studs were strategically designed in such a way that enabled faster ground penetration and release, a feature which is appreciated by those agility players.